Don't feel like hanging over a hot oven in this weather? 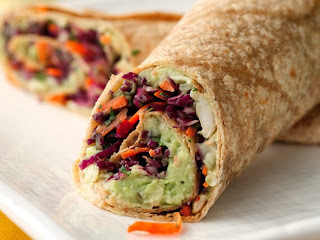 Neither did I so a quick yummy wrap was on the menu. Use whatever you have on hand for the filling. 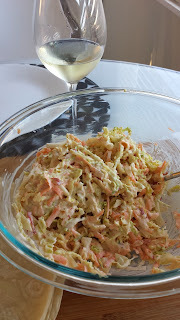 I made coleslaw as there were bits and pieces hiding in the back of the fridge. You could use kidney or black beans as well. Finely chop the cabbage and coriander, grate the carrot & apple, slice the fennel, toss to combine with mayonnaise. Mash beans and avocado in another bowl with a potato masher or fork. 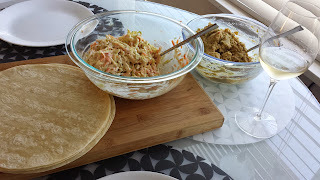 Stir through some harissa paste to taste. 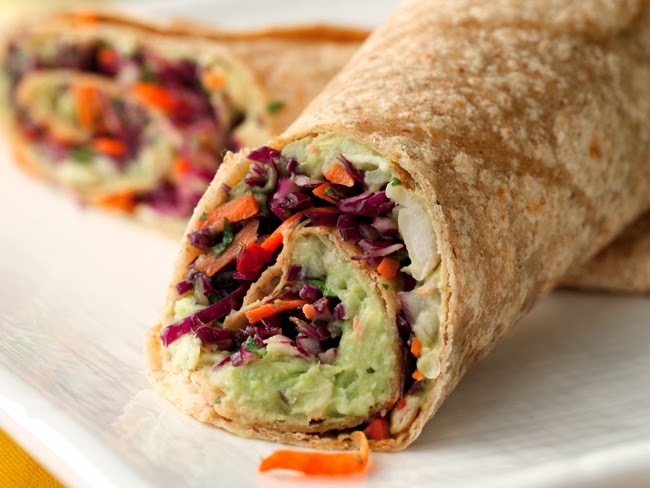 To assemble the wraps, spread the bean-avocado mixture onto a wrap and top with the cabbage-carrot slaw. Roll up & enjoy!